The Anderson family is a happy place for a variety of animals to live, play and grow. Stampy the elephant and Rex the Rhino are two sparkly, innocent and unshaven characters created by the Anderson family. These witty characters are ideal playmates for your children and friendly and reliable tools for parents. Stampy and Rex are created with eco-friendly plantation and more importantly, the ultimate ‘kids friendly concept’, to make sure they love it when they are using it. Almost no toys are as popular as fluffy animals that look like they are coming to life in a kid’s arms. These practical and adorable character ottomans are what your kids would love to have for a new friend. They are also perfect for forming part of your kids’ growing experience as loyal companion, story telling material or just a majestic creature to own. Made to be totally child-safe, the Anderson Kids Animal Stool comprises a sturdy wood frame with solid rubber wood legs. Thick sponge padding is found in the seat and head and the entire assembly is wrapped in durable polyester fabric for longlasting use. Not least, the Animal Stool is well-stitched all round and also features feet pads to protect the floor from scratches or damage. 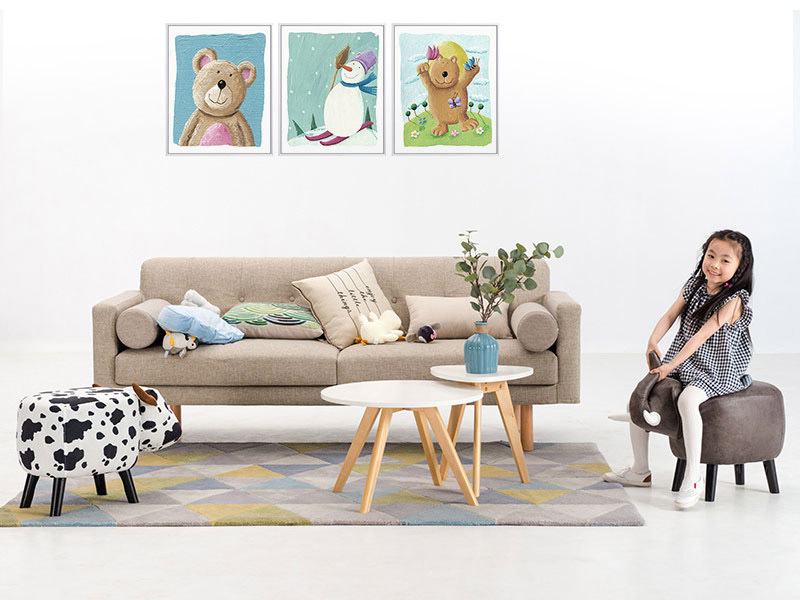 With a weight capacity of up to 150kg, the Anderson Kids Animal Stool is easy to maintain and promises to deliver many years of great fun for your child. Material: Fabric and Solid wood.